How are you smart? That is a question that was asked to the 9-12 students at Wilmington Montessori School last week during their first lesson in the Elementary Maker Studio. Gathered in a circle, they eagerly raised their hands to share their “smarts.” The children were learning about Howard Gardner’s theory of multiple intelligences. They considered the things they like, those they are good at and what comes to them a little less easily. 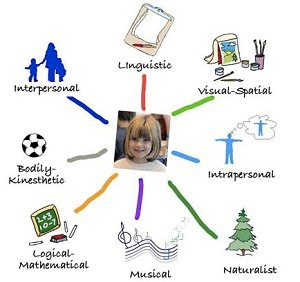 Learning about multiple intelligences allows children to begin to understand who they are as learners and as people. It opens the door to an appreciation of themselves as individuals at a time when they are building their identity. This exploration of self and of “smarts” is another building block in the strong foundation of a WMS education. How are you smart?